Hero does provide a tough choice to choose between its scooter. Except styling, everything else including the performance and pricing looks very similar to one another. This one is a tough call to make. But if I had to choose, I would rather go with Hero Duet. It offers something different, something unique. The overall styling is good, and the performance is decent. As its given price point, there is no place to complain. If you didn’t know, Hero two-wheelers are extremely fuel-efficient. You might even know it as the X-Factor that has put Hero on the map. Combine that with the level of affordability, you simply create magic. Moreover, if you were looking to buy a Hero Scooter in Nepal, you’ve come to the right place. 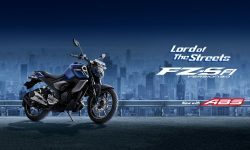 Here’s the complete list of Hero Scooters in Nepal along with the key specifications. Currently, there are four Hero scooters in Nepal. Furthermore, Hero scooters provide an extreme level of comfort, style, fuel-efficiency, and affordability. Moreover, these are more inclined towards the general population of commuters or college students. Before people were bombarded with an endless selection of scooters, Hero Pleasure started it all. No one can simply live up to the legacy of Hero Pleasure. Moreover, it wouldn’t be far-fetched just to call it Hero’s “best-selling” scooter of all-time. Furthermore, the title wasn’t just given, Hero earned it! Hero Pleasure nails every aspect of a modern scooter. It’s stylish, practical, lightweight and fun to ride! Plus, it offers Mobile Charging option which is a very rare feature, at least for a 110cc scooter. Furthermore, it comes equipped with iBS. Based on its practicality, we’ve done nothing but praised Hero Pleasure. So, is it a good scooter? Yes. Is it perfect? No. Like all the scooter, Hero Pleasure has its shortcomings. You don’t get a whole lot of power. Even if you do manage to push it to its limit, vibrations become more prominent. Plus, you miss out a punchy pickup. Again, would I recommend despite all that? Of course, I would. Basically, the pros outweigh the cons. Yes, that’s the ad campaign for the Hero Pleasure. If that slogan wasn’t clear enough, Hero Pleasure is specifically made for women riders. It is respectable for a company to launch a gender-specific scooter, but Hero Pleasure isn’t one of those scooters. It’s just too good to belong to a specific gender. So, no. Why should girls have all the fun? It’s a damn good scooter, no matter the gender! Okay, fine… Let’s say that Hero Pleasure is made for women riders. Well, that’s too bad because Hero Pleasure is really a good-budget scooter. However, don’t be disappointed. Hero did predict something like that might happen, so there’s Hero Duet (VX). Hero Duet is a unisex scooter, promoted for a family. It retains most of the visual appearance from Pleasure. Moreover, from its looks and performance, it is a slight upgrade from 100cc Pleasure. So, its like a slightly better Honda Pleasure. Unlike other scooters, you get Hero Duet with a sturdy metal body topped off with advanced performance and exciting features. For the price, you also get an analog-digital instrument cluster, external fuel filler, front telescopic suspension, integrated braking, mobile charging port, and boot light. Especially for the price, features like external fuel filler, integrated braking, and a front telescopic suspension is extremely rare. Even Honda’s Dio which costs more than Hero Duet which isn’t exactly a feature-packed scooter. In person though, it looks so much better than the Hero Pleasure. Did you ever mistake a single person to be an entirely two different people? Case in point, Hero Maestro Edge and Hero Dash. Same design, same engine, same everything, but a different name. Why? I don’t know why. Hero Maestro Edge replaces the old Hero Dash. With Hero Maestro, you get a great scooter. You simply just mix all the great features of all the previous mentioned scooters, smashed into one. Maestro Edge’s key features like the telescopic front suspension, external fuel cap, digital-analog instrument cluster, Integrated Braking System, and the reliable engine, just add to that greatness. Also, you need to keep in mind that everything about Maestro Edge, is the same for Hero Dash as well. What’s the difference between Hero Maestro Edge and Hero Dash? Nothing. Both scooters share exact similarities, including the looks, the engine, and the overall feel. Hero MotoCorp simply refined the old Hero Dash for the 2019 and renamed it as Hero Maestro Edge. Please remember that Hero Dash is still available in certain Hero Showrooms, at least until the stock last. Since Hero Dash has been discontinued, there is a massive discount on that scooter. How massive? You get Rs. 25,000 off from its initial pricing. This brings the adjusted Hero Dash price in Nepal as Rs. 1,51,500. That’s an all-out steal! So, if you were originally looking to buy Hero Maestro Edge, hurry up and go buy Hero Dash. It’s more-or-less the same scooter with just a different badging. 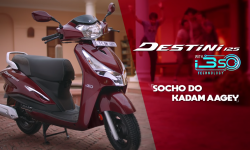 Hero Destini 125 is the newest addition to the Hero Scooter family! You get a great engine refinement along with a good performance. Like Hero’s iconic legacy, you don’t have to improvise in term of quality. Other things like handling, practicability, low-end performance, and maneuvering are really good. Especially considering the overall price, it’s comparatively affordable to its rivals. However, there are a few things I didn’t quite appreciate. 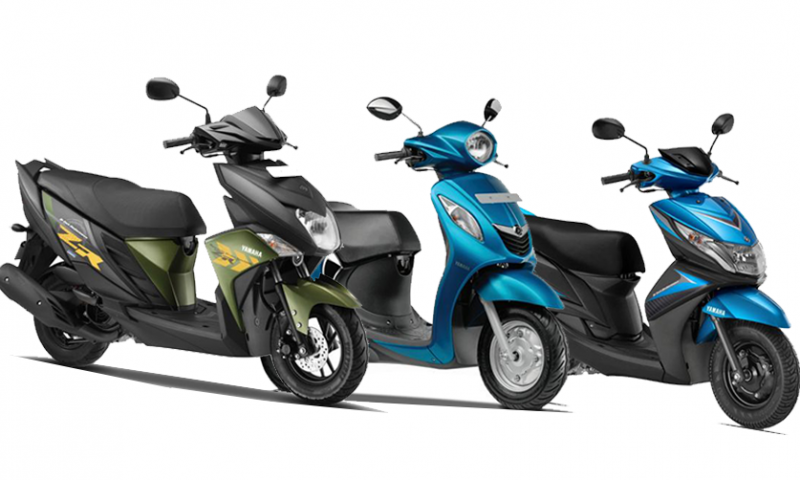 First, you get a generic design which is very similar to Honda Activa. It’s pretty boring and Hero tries to play it safe. 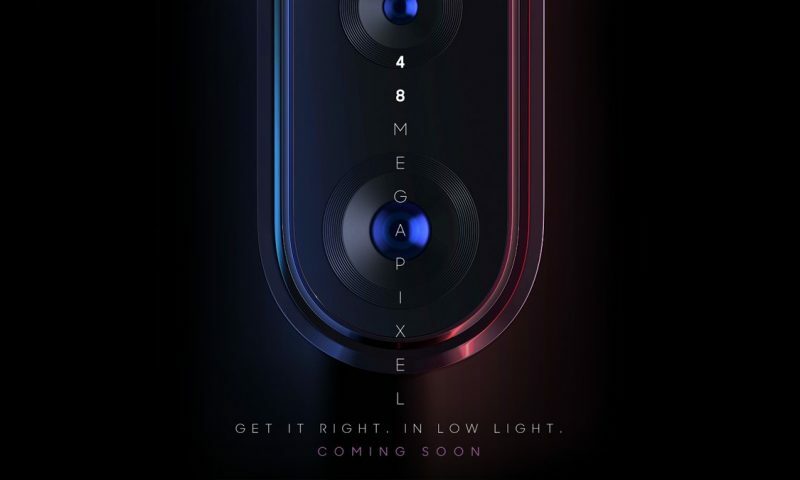 Moreover, as seen in 2019 Hero Karizma R, Hero MotoCorp isn’t known for being good designers. Additionally, things like LED lights, Disc-brake variant, and boot lamp are missing. In conclusion, Hero Destini 125 is a great new Hero Scooter in Nepal, but there are few places for improvements. 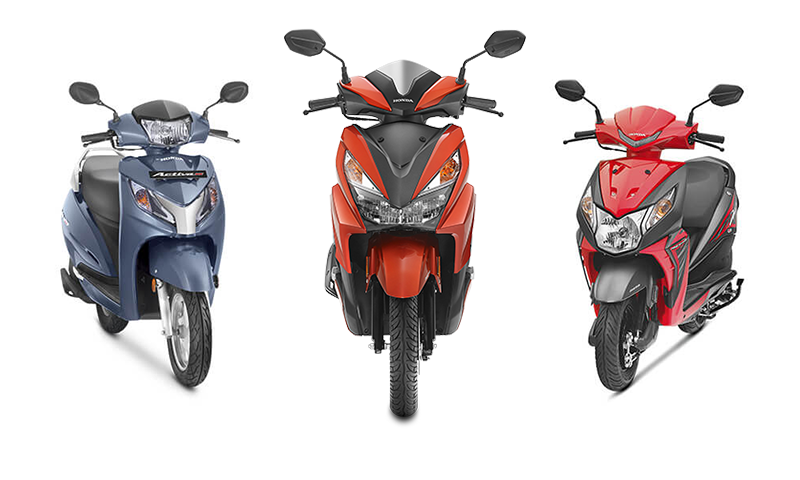 However, I’ll give Hero a pass, as Destini 125 is a great 125cc scooter with an affordable price tag of just Rs. 2,06,000. Should You Buy a Hero Scooter? There are so many scooter brands in Nepal. Then, why would you choose a Hero Scooter? Unlike other scooters brands like TVS, Yamaha, Aprilia, and Vespa, Hero has a specific consumer base. People don’t expect Hero scooters to be over the top with performance or styling. They just want a good motorcycle that can last for years to come. That is where Hero shines. However, if you do like the overall styling of Hero Maestro Edge, then go buy Hero Dash right now. With same styling, performance, and features at a half the price, it’s definitely a steal! Since there is a limited inventory of the Hero Dash, you might want to hurry. What are your thought on the Hero scooters price in Nepal? Did you find the one that best suits your needs? Share us your thoughts in the comments down below!